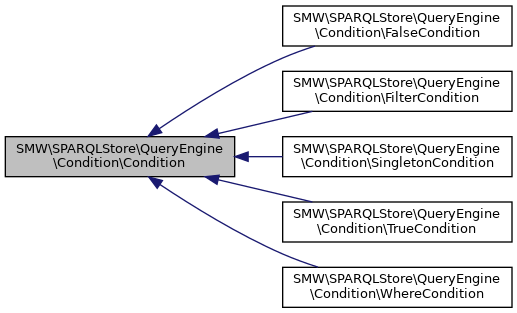 Abstract class that represents a SPARQL (sub-)pattern and relevant pieces of associated information for using it in query building. Get the SPARQL condition string that this object represents. This does not include the weak conditions, or additional formulations to match singletons (see SMWSparqlSingletonCondition). Tell whether the condition string returned by getCondition() is safe in the sense that it can be used alone in a SPARQL query. This requires that all filtered variables occur in some graph pattern, and that the condition is not empty.